Vast Expanses is a cultural, environmental and geopolitical history that examines the relationship between humans and oceans, reaching back across geological and evolutionary time and exploring different cultures around the globe. Our ancient connections with the sea have developed and multiplied with industrialization and globalization, a trajectory that runs counter to Western depictions of the ocean as a place remote from and immune to human influence. This book argues that knowledge about the ocean – discovered through work and play, scientific investigation, and also through the ambitions people have harboured for the sea – has played a central role in defining our relationship with this vast, trackless and opaque place. It has helped people exploit marine resources, control ocean space, extend imperial or national power, and attempt to refashion the sea into a more tractable arena for human activity. An understanding of the ocean has animated and strengthened connections between people and their seas. To comprehend this history we must address questions of how, by whom and why knowledge of the ocean was created and used, in both the past and the present; through this, we can forge a healthier relationship with the sea for the future. 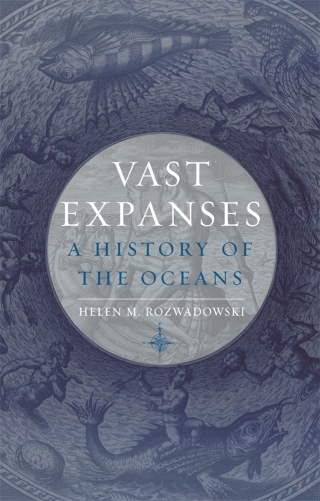 Founder of the University of Connecticut’s Maritime Studies program, Helen M. Rozwadowski teaches history of science, environmental history and public history as well as interdisciplinary and experiential maritime-related courses. She is the author of Fathoming the Ocean: The Discovery and Exploration of the Deep Sea (2008) and co-editor of Soundings and Crossings: Doing Science at Sea 1800-1970 (2016).